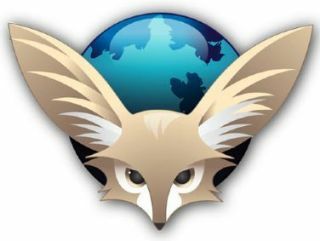 Firefox 4 for Android and Maemo has arrived in beta, as Mozilla looks to grow its most famous product in the mobile arena. The mobile version of Firefox 4 has had a successful alpha release, and the devs have been working hard to arrive at a more stable version for the beta launch. "Our first Firefox 4 beta for mobile is now available to download and test," blogged Mozilla's Stuart Parmenter. "It's built on the same technology platform as Firefox for the desktop and optimized for browsing on a mobile phone," he added. "Firefox beta for mobile comes with many of your favorite Firefox desktop features like Firefox Sync, Add-ons and the Awesome Bar. "A major focus of this release is to increase performance and responsiveness." Two significant features are Electrolysis - which was included in the alpha, and allowed the browser to run in a separate process to the rendering engine - and Layers which should aid "overall performance and in graphics areas such as scrolling, zooming and animations". The beta also offers Firefox Sync, which will keep things matched up between desktop and mobile browsing and pinch to zoom. Last, but not least, Firefox for Android and Maemo will also have the 'Awesome screen' which "instantly gives you access to your recent history, bookmarks and tabs just by tapping in the Awesome Bar."